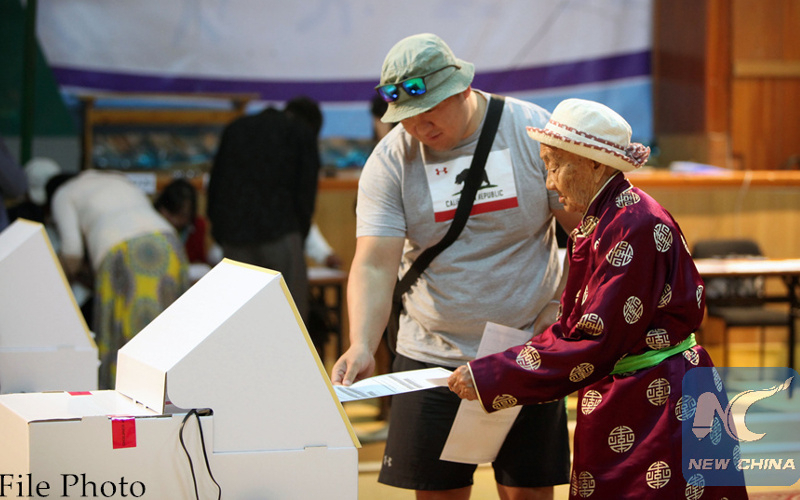 AKIPRESS.COM - Mongolia's first-ever presidential runoff has been brought forward by two days to July 7 due to a traditional sporting festival, AFP reported citing electoral authorities. The three candidates in Monday's first-round poll fell well short of the absolute majority needed to secure the presidency. Former judoka Khaltmaa Battulga of the opposition Democratic Party and speaker of the parliament Mieygombo Enkhbold of the ruling Mongolian People's Party (MPP) were the top two finishers and will contest the runoff. Both parties asked for the date to be brought forward due to the start of the long national Naadam holiday a few days later -- Mongolia's biggest festival featuring wrestling, archery and horse-riding. "Political parties, unions and a parliament member demanded to make the second polling on July 6," General Election Commission chairman Choizon Sodnomtseren said. But because voting ballots must be printed (and) voting machines must be re-programmed the committee determined that the earliest possible date for the runoff was July 7.